Vibration tests (left). Spreading its wings in solar array deployment (right). Dubai Paris, 9 March 2015 – The EUTELSAT 8 West B satellite of Eutelsat Communications (NYSE Euronext Paris: ETL) is in the final stretch of manufacturing and on track for launch by an Ariane 5 rocket in mid-2015. 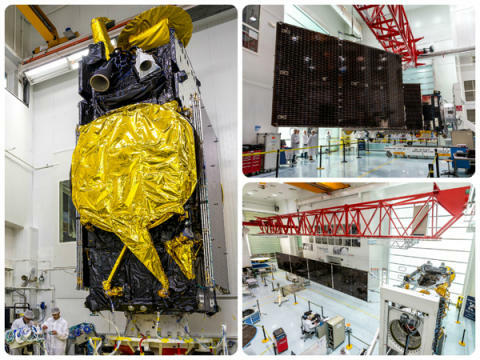 The 5.8 tonne satellite has finished launch environment tests and is now going through a final round of payload performance checks at Thales Alenia Space’s factory in Cannes. EUTELSAT 8 West 8 will be launched to the 7/8° West neighbourhood selected by over 1,000 TV channels to reach into an unmatched audience of 52 million homes. Eutelsat and Nilesat have progressively built a comprehensive broadcast infrastructure at this position, comprising satellites designed for Direct-to-Home reception in a vast footprint stretching from Morocco to the Gulf. Both operators have steadily brought new capacity on line to meet thriving demand for digital channels and the acceleration of High Definition Television. 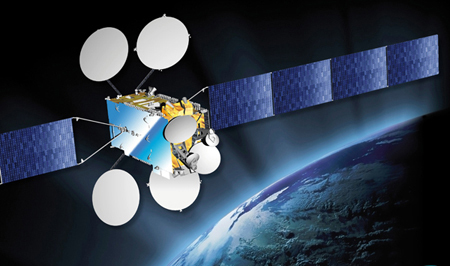 The next phase of expansion at the most popular neighbourhood in the Middle East and North Africa comes with EUTELSAT 8 West B. This function involves embarking new-generation frequency converters behind the satellite’s receive antennas. 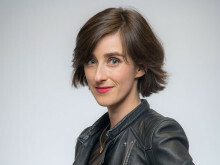 This will put Eutelsat in the unique position to be able to change the frequency of an uplink signal without any impact on the downlink frequency received by user terminals, marking a major breakthrough in the bid for continuity of service for broadcast signals jammed by rogue uplink signals. This technology involves embarking a new generation of equipment in the payload’s high power amplification system so that the electrical power used by a channel can be set according to its actual requirement at a given frequency. As the number of channels that can be operated simultaneously is directly linked to the amount of energy produced by solar panels, this innovation brings with it the potential to increase active channels. This innovation uses a new generation of command receivers that can be set to multiple options, giving enhanced operational flexibility. More pictures available for download on our Flickr page. Watch the video of EUTELSAT 8 West Besting Solar Array Deployment on our Youtube channel. Established in 1977, Eutelsat Communications (Euronext Paris: ETL, ISIN code: FR0010221234) is one of the world's leading and most experienced operators of communications satellites. 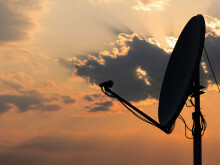 The company provides capacity on 34 satellites to clients that include broadcasters and broadcasting associations, pay-TV operators, video, data and Internet service providers, enterprises and government agencies.